The controls of this CMS are very similar to any word processor. Text and/or images may be entered into any of the modules below. Any images must be no wider than 536 pixels wide or they will stick out of the side of the webpage. Each page is broken up into sections. The TITLE IMAGE is the image that is displayed across the top of each page. The PAGE SUMMARY PARAGRAPH will appear in bold text at the top of the page, just underneath the Title Image. Each HEADLINE corresponds to the section of content just below it. HEADLINES are printed bold. To allow for future content, nine content sections have been added per page. The content will be displayed in the order it appears in this CMS. Any of these modules may be left blank. If they are left blank, they will not affect your webpage in any way. 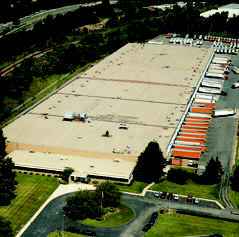 Durapax Coal Tar Commercial Roofing Systems offers time tested roofing systems that are designed to meet your toughest requirements and last. Durapax Coal Tar Roof provides lasting quality. The traditional Coal Tar built-up roof is one of the most reliable and longest lasting low slope commercial flat roofing systems available. Coal tar is considered the product of choice for roofs which have ponding water due to its superior ability to withstand extended exposure to water. Building owners and roofing contractors have maintained coal tar roofs over 50 years old. Durapax specializes in coal tar roofing systems “built up” with multiple layers of coal tar coated glass felts or coal tar organic felts and hot mopped coal tar roofing pitch, finished with a coal tar flood coat and gravel. Sells and warrants coal tar built up low slope (flat) roofing systems (BUR). Products are manufactured to meet ASTM specifications, are currently approved by FM and are classified UL Class A.